Do you struggle getting everything done? Do you want to spend less time working and more time creating? Do you want help managing clients, leads & communication? 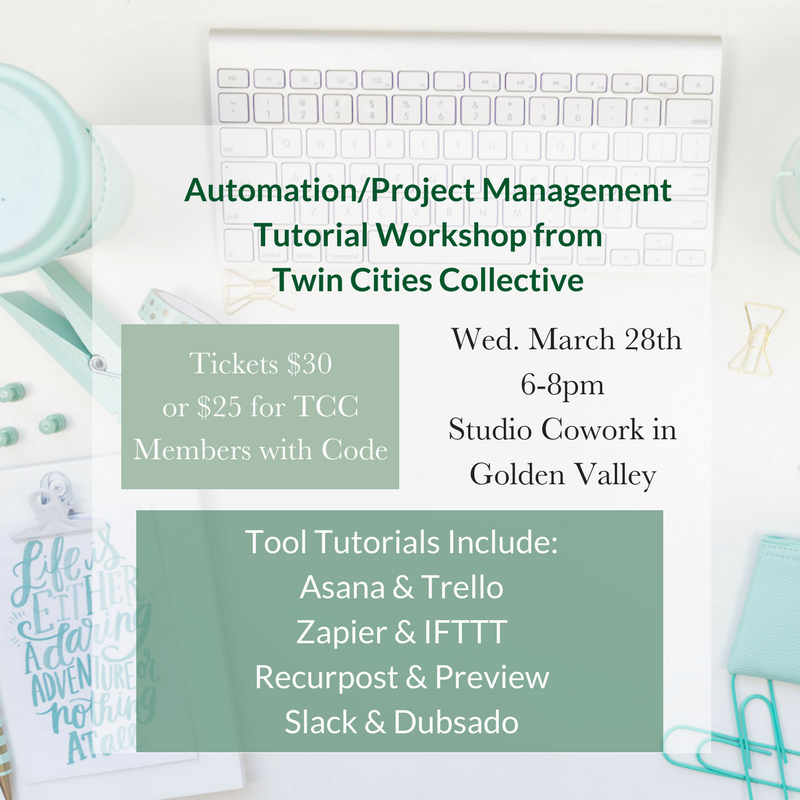 Twin Cities Collective is excited to have an automation/Project Management workshop held at Studio Cowork in Golden Valley on March 28th from 6-8 pm. Learn about the tools you need to automate your business, including emails, lead management, social media management & more! Social Media Schedulers: Tools like Smarterqueue, Buffer, Hootsuite, Recurpost, Preview & more! We will be running through many of the capabilities of these programs as possible, with a quick intro on their features, how to set it up & more! You will be going home with a print out guide to many of the options in each category as well!